【FASTER 4G LTE】The 4G Lte Cell Phone Signal Booster could increase the signal strength,eliminate cell signal dead zones and provide faster high-speed 4G LTE uploads and downloads data. The 4G Lte cell phone signal booster could only make the weak signal stronger,it couldn't generate any signal. The new 3G EVDO Network Extender will boost data coverage along with supporting voice calls. Fully functional item, will show signs of use. Ethernet cable and power cable NOT included. UNBEATABLE VALUE. B2G1 Free NEW Internal Phone Antenna Signal Reception Booster for LG Phones HOT! Antenna Booster. Boost device's signal strength. BUY 2 GET 1 FREE, BUY 3 GET 2 FREE, BUY 4 GET 3 FREE and so on. Condition is Used. BOOSTS CELL SIGNALS UP TO 32X: Enhances 4G LTE and 3G signals for buildings up to 1,500 sq ft. BETTER VOICE AND DATA: Get fewer dropped calls, better voice quality, faster uploads and downloads. 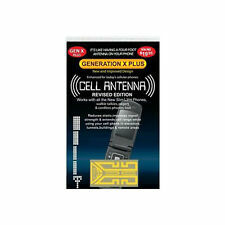 Genuine Reach Antenna Signal Advanced Antenna For iPhone 5 and 5S - Guarantee ! 2.5 out of 5 stars - Genuine Reach Antenna Signal Advanced Antenna For iPhone 5 and 5S - Guarantee ! 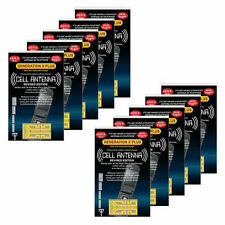 51 product ratings51 product ratings - Genuine Reach Antenna Signal Advanced Antenna For iPhone 5 and 5S - Guarantee ! 1 700Verizon/850/1900MHz Tri-band Repeater. When no user calls, the device works in standby mode, the uplink power amplifier is switched off, and the static power is decreased by 30%, so as to achieve the purpose of energy saving. Gen X Cell Phone Antennas. Universal will work on all cell phones as well as cordless phones, walkie talkies and pagers. weBoost Drive 4G-M Cell Phone Signal Booster | Car Signal Amplifier | 470121. Condition is Used. Shipped with USPS Parcel Select Ground. Used like new with box and everything included when new. 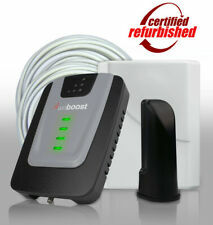 The weBoost 470135 Drive Sleek from Wilson Electronics is the most versatile car cell phone signal booster in USA. Cradle-kit that allows for signal boost for one phone. Strengthen your cell phone’s data and voice connection with weBoost’s latest cradle booster - the Drive Sleek, our most powerful and versatile 4G cradle cellular signal booster for vehicles. 301155 Antenna: Wilson, Wall Mount Panel, 75 ohm. Shipped with USPS Priority Mail. 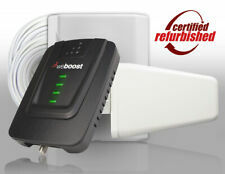 weboost 470106 Drive 3g-s Cell Phone Booster Kit. Shipped with USPS Priority Mail. Model: FLEXPRO. Part Number: FLEXPRO. MPN: FLEXPRO. If you're not sure, ask and we'll let you know. We hope our service will exceed your expectations! Condition: New Other. I have listed a Wilson Electronics 311135 Antenna. Item is New was Never used. This booster for vehicles extends cellular signal range to ensure you get better voice and data with fewer dropped calls, improved voice quality, faster uploads and downloads. Multi-user wireless booster. Strengthen your cell phone’s data and voice connection with weBoost’s latest cradle booster. The Drive Sleek is weBoost's most powerful and versatile 4G cradle cellular signal booster for vehicles. Use the Drive Sleek in your car, truck or any other vehicle to keep you connected. Wilson Electronics 465134 PRO 70 Signal Booster Kit From AUTHORIZED DEALER! (GSM, CDMA, etc.). The Wilson Pro 70 takes the existing cellular outside signal and amplifies it up to 32X with Wilson Electronics’ patented signal boost technology. The Pro-grade signal booster serves over 100 people simultaneously! 5 out of 5 stars - Wilson Electronics 465134 PRO 70 Signal Booster Kit From AUTHORIZED DEALER! 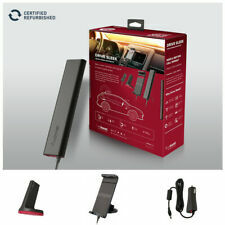 1 product rating1 product ratings - Wilson Electronics 465134 PRO 70 Signal Booster Kit From AUTHORIZED DEALER! Reach For a Stronger Signal, upto 1.5x Stronger Lte Signal Strength. For IPhone 6. Works With All US Carriers. Authorized Dealer. Strengthen your cell phone’s data and voice connection with weBoost’s latest cradle booster - the Drive Sleek, our most powerful and versatile 4G cradle cellular signal booster for vehicles. Use the Drive Sleek in your car, truck or any other vehicle to keep you connected. The 4G Lte cell phone signal booster can increase increase the signal strength,eliminate cell signal dead zones and provide faster high-speed 4G LTE uploads and downloads data. The 4G Lte Cell Phone Signal Booster could work for 700MHz Band 13 and Band 12/17 (Couldn't work for Band 4). Condition: Open Box The product comes with all its accessories. The factory seal of the product is broken. 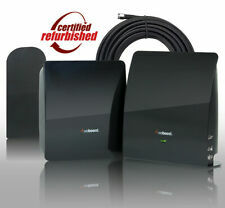 Description: The weBoost 4G Connect is our most affordable 4G indoor signal booster. The 4G Connect allows users to get better voice and data signal with fewer dropped calls, improved voice quality, faster uploads and downloads. Our 4G signal booster increases cell signals up to 32x and enhances 4G LTE and 3G signals for buildings up to 5,000 sq ft. Compatible with all US networks, it works on Verizon, AT&T, Sprint, T-Mobile, US Cellular, Straight Talk and more. Installation guide available for download and all parts are included in the kit with trained support staff on call to assist. Internal Phone Antenna Booster+Anti Radiation for Android LG G2 G3 G4 G5 G6 HOT!